The new Access to Seeds Index evaluates how the seed industry is bridging the gap with smallholder famers. It says, DuPont Pioneer and East-West Seed rank highest among leading seed companies in their contribution to achieving global food security. The index benchmarks 26 leading seed companies in terms of their contributions to improving smallholder farmer productivity. 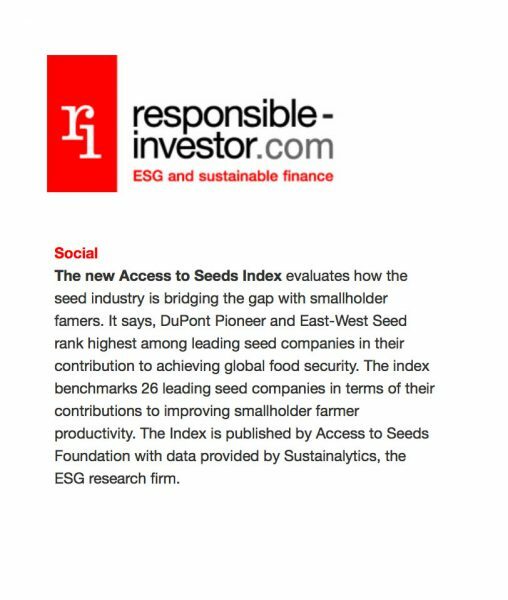 The Index is published by Access to Seeds Foundation with data provided by Sustainalytics, the ESG research firm.